Camps Bay beach for your next Vacation. Is is a Blue Flag Beach area of Cape Town. Also incorporating Glen Beach one of the hardest of Cape Town’s beaches for surfers. Camps Bay – Western Cape South Africa. Camps Bay is a rather affluent suburb of Cape Town, South Africa. In summer it attracts a large number of foreign visitors as well as South Africans looking for that beach holiday. 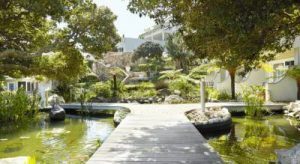 Some of the best places to visit in Camps Bay area, are Cafe Caprice, a great night out, Dizzy’s weekly karaoke nights and The Roundhouse, while Azure at the Twelve Apostles Hotel and Spa are well worth a visit. 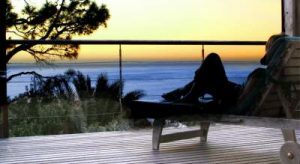 20 St Fillians Road, Camps Bay, Cape Town Accommodation. 33 Victoria Road Bakoven , Camps Bay. This property is 15 minutes walk from the beach. Boasting magnificent views of the Atlantic Ocean, this deluxe 4-star guest house provides its guests with outstanding service in a peaceful and affluent setting. Free Wi-Fi is available. 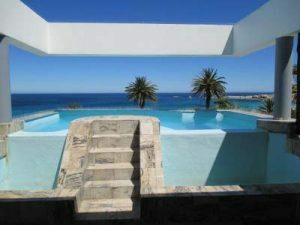 Ocean View House is a family-run bed and breakfast only a short drive from Cape Town’s City Bowl. Marvel, in the evening, at the sunsets from the pool deck or explore the extensive park grounds. The property offers scenic sea, garden and mountain views from most rooms. Each room is complete with contemporary finishes, and has a modern bathroom with a double basin. Enjoy breakfast underneath palm trees and in the lush garden. Most rooms feature either a private terrace or balcony, ideal to enjoy a drink from the bar on or read the latest newspaper. Ocean View House has been welcoming Booking.com guests since 13 Nov 2009. It is just about on the beach and there are excellent restaurants very near by. Great for walking along the sea front. Camps Bay’s beachfront is well appointed with more than 20 restaurants and cafés. From casual light meals to five star internationally acclaimed cuisine, the restaurants in Camps cater to every taste and budget. Enjoy leisurely breakfasts, lazy summer lunches, sundowners and romantic evening meals just a few metres from Camps Bay beach. A meal with a view is guaranteed and it is safe to walk to the beachfront and restaurants by day and night. Camps Bay, Cape Town, An Aerial View. South Africa is a “world in one country” and this is apparent in the range of restaurants available, including Chinese, Japanese, French, Italian, Mexican and Indian restaurants, as well as traditional South African food. Gratuities are not included in South Africa, though a service fee will occasionally be added for group bookings (8 or 10 people +). Tipping for service is a standard practice in South Africa and any tip is normally welcome but a good guideline is a 10% gratuity depending on service and satisfaction. Camps Bay Beach, a Blue Flag Beach since 2008 is the largest white sand beach in Camps Bay. There is a seasonal life guard station with toilets at the west end of the beach. The beach is opposite Camps Bay’s main tourist hub, featuring multiple hotels, restaurants, and shops. Glen Beach, at the far right of Camps Bay beach, hidden behind large boulders is Camps Bay’s best surfing beach. Short, fast rides and a small take-off area makes Glen Beach one of the hardest of Cape Town’s beach breaks to surf and has resulted in a strong local atmosphere. Take A Break Holidays takeabreakholidays, Camps Bay San Francisco De Asis, Urb Marina, San Fulgencio, 03177, Alicante, Spain.